Deeply relaxing and healing, universal life-force energy is channeled to restore and clear the energy centers of the body called chakras so the person can return to a balanced state physically, mentally, emotionally and spiritually with more of their own life- force available to them. 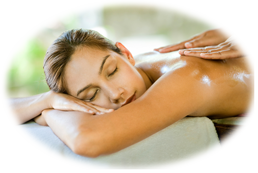 Both Reiki and massage are systems of “natural healing” that focus on body energy, and today Reiki massage is a common and effective treatment. Heated smooth, flat stones are placed on key points on the body. 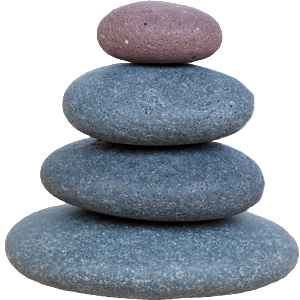 The massage therapist may also hold the stones and use them to massage certain areas of the body. These heated river stones are used to deeply relax and warm the muscles, very grounding and nourishing. experience. Pre and Post “sporting event massage” is a form of bodywork geared towards athletes reaching peak performance and recovery. Useful in preventing injuries as well as preparing the body for athletic activity and maintaining optimal condition. A no-nonsense massage that aims to stretch tight muscles, stimulate inactive muscles and improve soft tissue condition. Flagstaff Sports Massage can enable you to move your body more freely with more flexibility and in time can improve your posture. 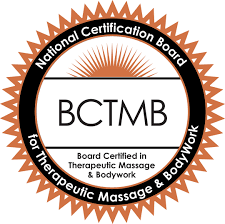 Katie Klein,board certified licensed massage therapist who has been working in the field of massage since 2007. Katie is originally from San Diego where she began studies in the field of “Healing Arts” learning herbalism, aromatherapy and energy work in 1997. Her studies have brought her a better understanding to how we can heal ourselves and reconnect to the nature within and around us. Please Feel Free to contact me for any questions you may have!